The wait is finally over, so it was time to see what all the fuss was about. Does Google Chrome for iOS live up to the hype? Here’s a quick demo video, on my iPad, so you can see for yourself before you worry about downloading it. So there you have it, Chrome for iOS. It’s good, but not exactly spectacular. There are tradeoffs to be made, and only you can decide if they’re worth it or not. For me? 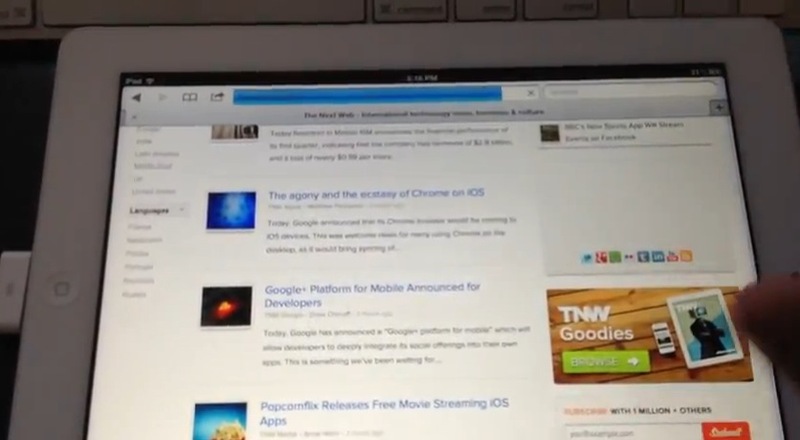 I’m sticking to Safari, a browser that I’ve come to like more as I’ve used it with the iPad. If you’re ready to make the Chrome jump, just click the link below.